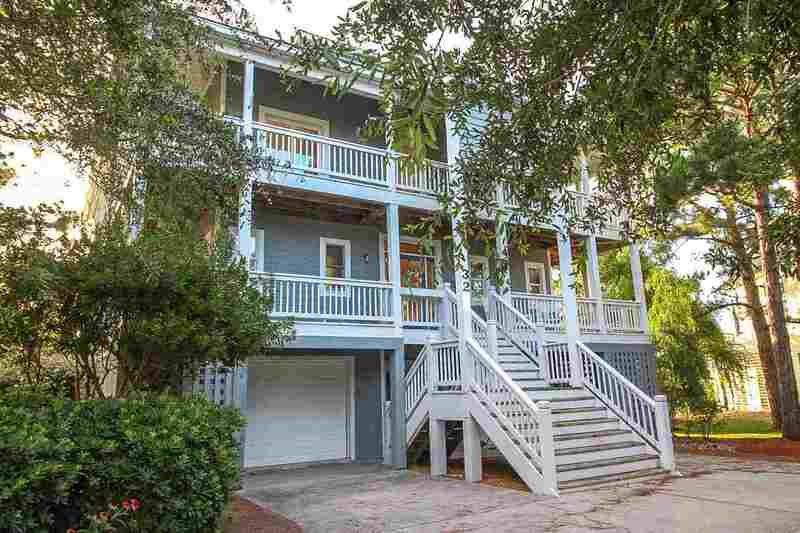 32 Hammock Drive, Manteo, NC.| MLS# 95013 | Outer Banks Homes For Sale, North Carolina Home Search Including Nags Head, Pirates Cove, Manteo, Kill Devil Hills Kitty Hawk, Southern Shores, Duck, and Corolla North Carolina, Oceanfront and Soundfront properties for sale and long term rentals. "The 180 degree view of Shallowbag Bay and Town of Manteo is tremendous! The remodeled kitchen is gorgeous and the location is outstanding for this 3 or 4 bedroom/den original model home in Hammock Village, Pirates Cove. SOLD FURNISHED. Owners personal items, tools and battery charger in garage are excluded. Beautiful open floor plan with an upper deck with built-in seats and lower screen porch. Two car garage and plenty of off street driveway parking. Beautiful Hickory flooring, ceramic tile and carpeting through out. Your option of having a guest bedroom with full bath on the upper level or use as a Den. You will enjoy relaxing with a glass of wine in the Ships Watch as the sun sets or relax in the hot tub. The best 4th of July Fireworks are free with this home! A 55' dock space with electric and water, (included in the $160 dock fee) is assigned to this home permanently! Low HOA qtrly dues of $425. Community amenities include: 24/7 security gated community, (2) pools, tennis courts, clubhouse, fitness center, playground, community pavilion and adjacent full service marina, ships store, Blue Moon Bar and Grill and Mimi Tiki Bar. Pirates Cove is only a 5 minute drive to the nearest beach access and a 25 minute boat run to Oregon Inlet.